Ever since the AMD Ryzen launch, we have fielded e-mails asking about Ryzen for servers. Just given the volume of e-mails we get from our readers on this, we have passed the word along, multiple times, to both AMD’s server team and server vendors. At Computex 2018 we finally saw that Tyan is answering that call with a prototype. 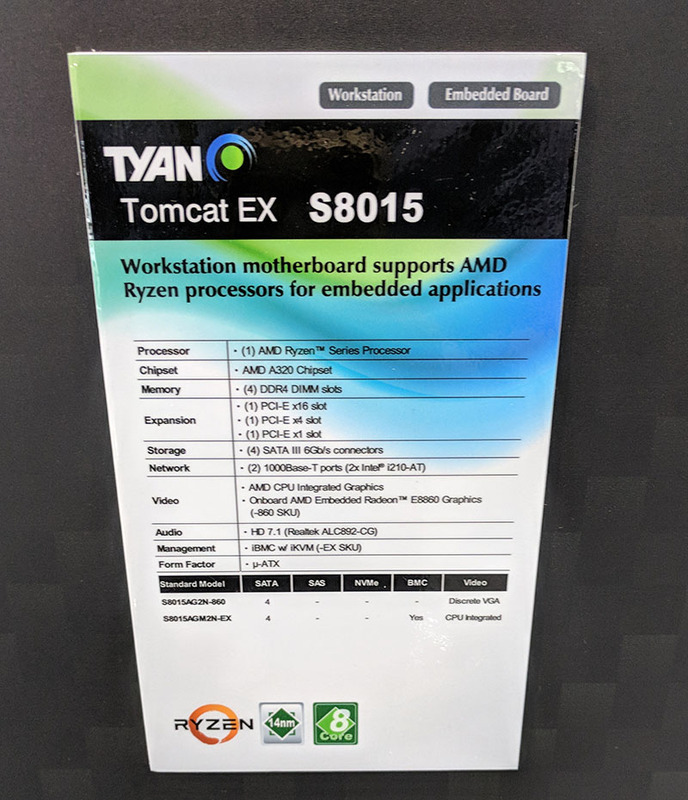 The Tyan Tomcat EX S8015 is the Ryzen powered server platform we have been waiting for. Here it is, the Tyan Tomcat EX S8015 which we are told is being developed for a specific customer. You can see a few features. First, there are video and audio outputs along with dual Intel LAN. The dual Intel LAN is a major improvement over Realtek NICs found on many consumer motherboards as they are supported in OSes such as VMware ESXi. The mATX motherboard has four DDR4 DIMM slots. We asked about ECC memory but did not get an answer at the show. As you will notice, the board we are seeing is the S8015AG2N-860. This has the embedded Radeon E8860 graphics under that large heatsink. Beyond the onboard GPU there are three PCIe slots. Although they look like you may get 32 combined lanes they are PCIe x16, x4 and x1 respectively. SATA III support is only four ports. We asked about IPMI and iKVM and the answer is the Tyan S8015AGM2N-EX which will have the BMC needed for remote management. That version was not available at the show but we were told it is coming. 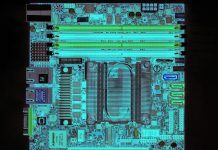 If you have wanted an AMD Ryzen platform with IPMI and BMC functionality for a server, get ready. 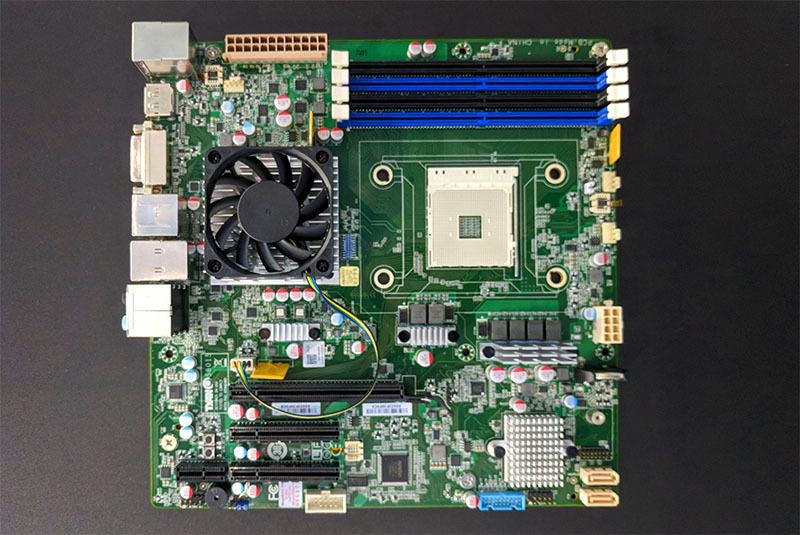 The Tyan Tomcat EX S8015 is one step toward bringing low-cost AMD Ryzen 7 CPUs to the server world just before the Intel Xeon E-2100 series launch. Yes, I have! Yes I do! And yes I will still want for my next build till the end of the year, provided it has ECC support. Well, my hands are scratching to start building immediately but I’m willing to wait several months for such a thing. But if it’s not available till then I will have to use Intel. A small request though – it would be great if the PCIe x16 channel is bifurcated into 2 x8. That makes more sense for a server board. Or, we should be getting Epyc embedded by now? Where is it by the way? Also Intel NICs are faster as they are able to achieve higher throughput and have lower CPU utilization than Realtek NICs. So they also make sense in a non-server setup which is why the better gaming mainboards also feature Intel NICs. Hey! This I could use. Move my RAID 6 card & drives over and cut my footprint, electric bill and be good for another 6 years+ easy. The dual Intel NICs are a nice plus too. My current Tomcat’s just keep chugging along. It looks like AnandTech just ripped off this article. The pictures are different, but same shots. Same order. Even the content is basically the same. Good job! 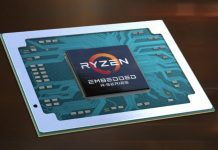 Will AMD finally launch Epyc or Ryzen with ECC and RAS, 8 core and high frequency for workstation and small servers consumers? We are waiting. Frede, I ask their server and embedded team regularly. I can seen only two SATA ports on the MB (bottom right side). In the spec photo, there is SATA 4. Where are remaining 2? Did this ever get released? I can’t seem to find any mention of this apart from initial press releases.